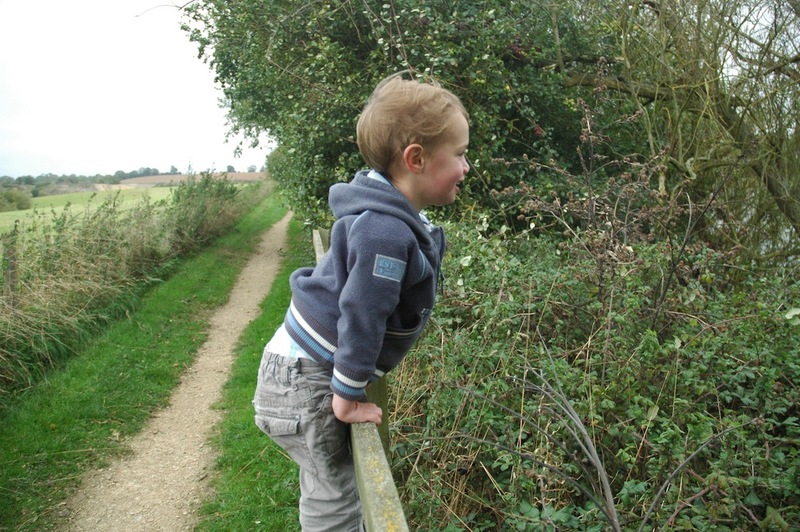 Looking for rabbits with your nearly-three-year-old son may not sound like much of an adventure, but when was the last time you saw one – or, more to the point, your kids saw one? I mean, really saw one? And something squished on the road providing dinner for crows doesn’t count. Where Louise used to live, in the Peak District, we used to see rabbits by the top-hatful, but they don’t appear to be as common in these parts. I don’t think Mungo had ever really seen one, but he knows – thanks to The Gruffalo’s Child and Room on the Broom – roughly what a rabbit is. Or ‘raa’ as he calls them. So when, on a solo reconnaissance mission to Cotswold Water Park in search of a barn owl, I missed out on the primary target but saw rabbits aplenty, I realised that it could be a suitable destination to tick off an admittedly bit-part player supporting the main cast of little brown mouse (tick) and fox, owl and snake (all yet to tick). It was a Friday, so Sam was at school, but Mungo was game. Cotswold Water Park is a mosaic of flooded gravel pits just to the south of Cirencester, and if you’re thinking that doesn’t sound like the rolling hills and honey-coloured stone cottages one usually associates with the Cotswolds, you’d be right – it’s as flat as the Canadian prairie belt, except for the bits where gigantic yellow diggers are carving holes in the ground big enough to bury half of Swindon. There are dumper trucks, too, barbed wire and lots of signs warning you that the yawning, muddy trench in front of you is not a playground. Weirdly, while Cotswold Water Park can’t boast about being the most attractive location on God’s earth – or even this side of Swindon – it’s great for wildlife. All those lakes. Just brilliant for ducks, geese, waders and other water birds, while the scrubby woodlands that have been allowed to flourish around the old gravel pits provide a haven for deer, badgers and, yes, rabbits. (There are beavers too, somewhere, but more of them anon). We started on a footpath just outside the village of Ewen. Vaulting a couple of stiles, we crossed a field with horses and walked into a small copse of spindly trees. The first rabbit of the day scampered into a bramble bush, and though Mungo was walking right besides me, it was too quick for him. Promising, though. Mungo displays his style-vaulting prowess – a crucial skill while in search of the Gruffalo and other creatures. Woodland gave way to a path with triffid-like stinging nettles on either side, which alarmed poor Mungo – he’d been stung too many times during the summer not to know what they were. I slung him onto my shoulders, but now there were no rabbits in sight and this bunny hunt wasn’t seeming like such a great idea. We emerged out of nettle alley to find a cavernous working gravel pit on one side and a lake on the other – this was where I’d seen rabbits before, but this time, there wasn’t a fluffy white tail in sight. 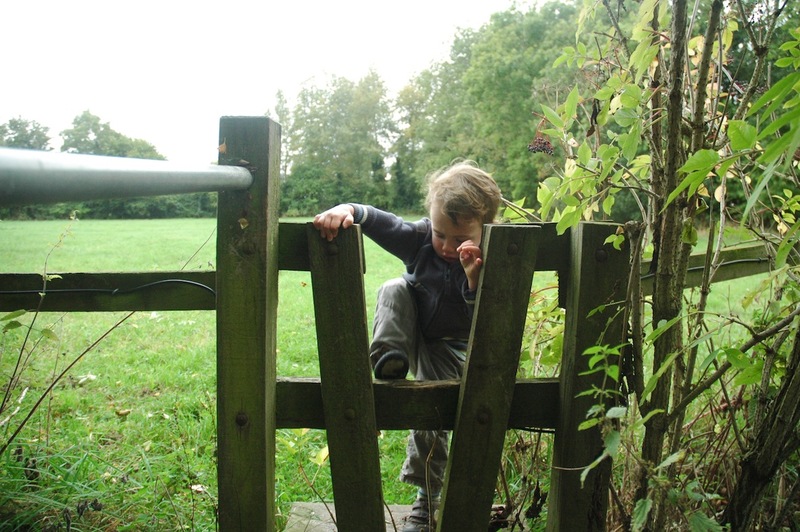 Mungo was up for a bit of dashing to and fro, a spot of climbing on the gate and even opted to brave nettle alley on his own on the return journey. Back to the spindly woodland, out into the open field, and now my thoughts were turning to the England-Montenegro World Cup qualifier that evening. 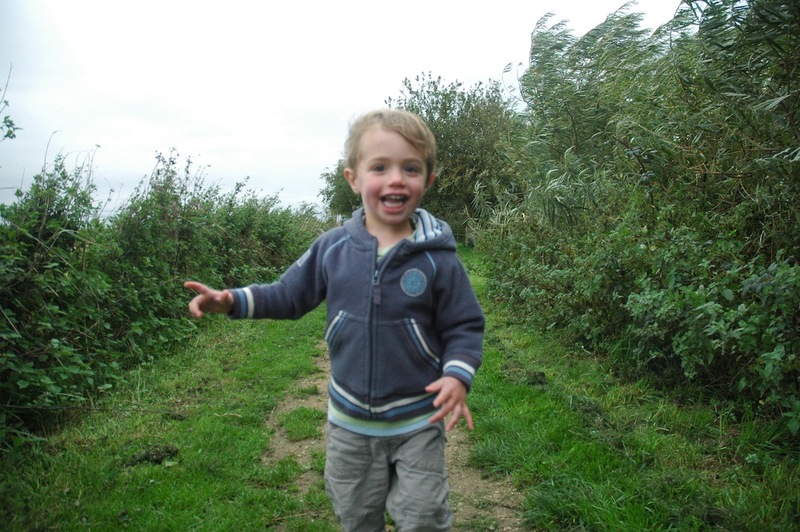 As long as there are paths to run along and fences to climb, Cotswold Water Park will satisfy a nearly-three-year-old boy. I saw the rabbits just as Mungo saw the tractor, and it was never a fair contest. Four, five, six or more of them haring across the lush green field versus a beautiful blue, static chunk of agricultural machinery with bright red wheels. Incredibly, Mungo did acknowledge the rabbits – albeit briefly – before returning his attention to the piece de resistance. 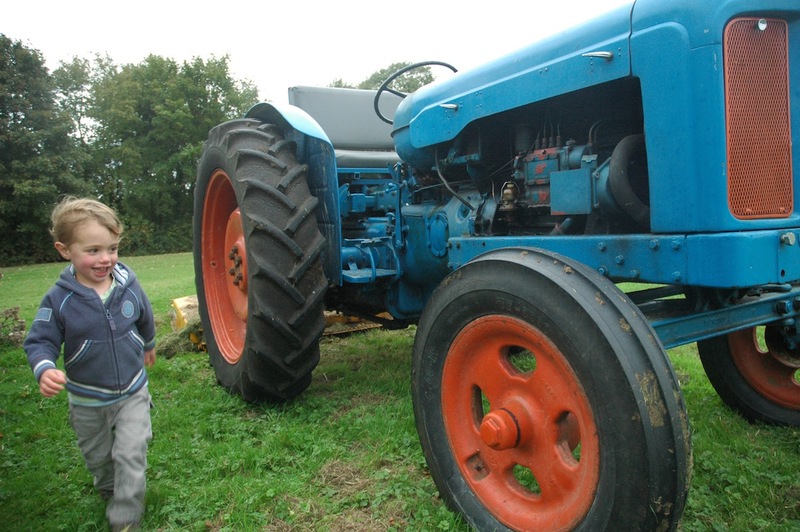 “Tractor!” he repeated delightedly, as he examined its every wheel ridge, circling the great metal beast and pointing out its wondrous shininess to me. A very nice tractor it was, too, I have to confess. And for a small boy, I guess, that’s just what a good walk should finish up with.